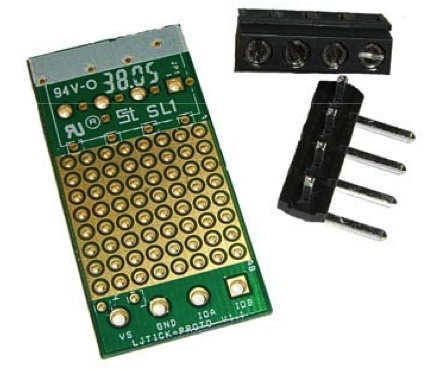 The LJTick-Proto (LJTP) Consists of an 8x8 grid of holes for prototyping custom signal-conditioning ticks. The 4-pin design plugs into the standard IDE / IO / GND / VS screw terminal block found on newer LabJacks zoals the U3, U6, and UE9. 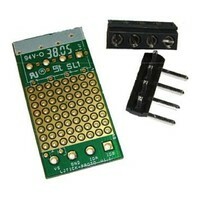 Includes three loose pieces: the PCB, a 4-position screw terminal, and a right-angle pin header.